Here’s the photo I promised of the back which is almost done. 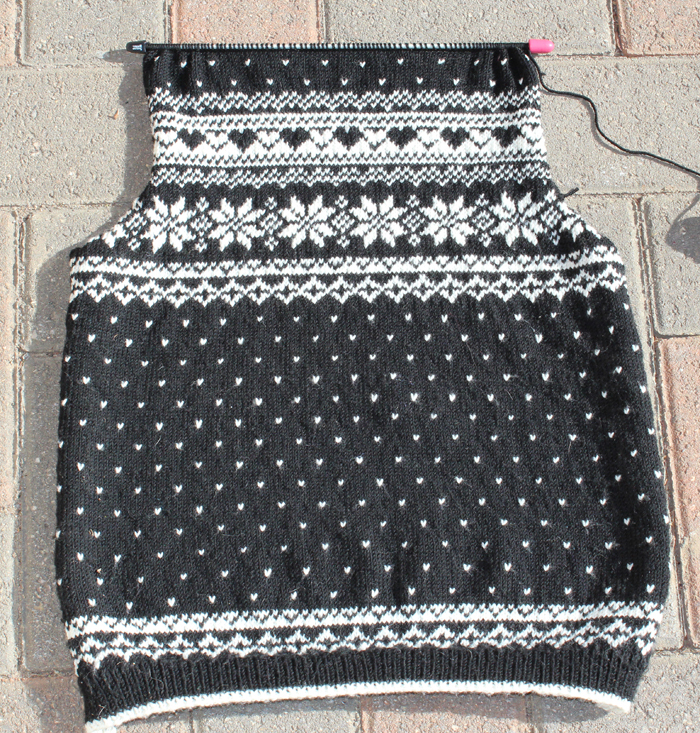 I lengthened the back a little because I can’t stand sweaters that aren’t long enough – really don’t want it showing my stomach every time I lift my arms. Next: Too hot for knitting.